Excellence Award 15B Crescent Crazy Stackers Crescent Elementary School Anaheim, California, U.S.
Teamwork Champion 15A Crescent Crazy Stackers Crescent Elementary School Anaheim, California, U.S.
Design Award 241E Eagle Teks Mililani Mauka Elementary School Mililani, HI, U.S. STEM Research Project Award 963B House of Cards McLean Robotics Institute McLean, VA, U.S.
Sportsmanship Award 6210H Eagles Robottics 5 Heritage Christian School Indianapolis, IN, U.S.
Amaze Award 36155 Triangle Robotics Triangle Elementary School Triangle, VA, U.S. Build Award 4422A Navigator-Robotics-Elem Island Pacific Academy Kapolei, HI, U.S. Create Award 10154A Flare 2 Vex Flare 2 Vex Sachse, TX, U.S. Judges Award 59 H.S. Robotics H.S. Robotics Kapolei, HI, U.S. Think Award 10118A Zeptronics The Polish Mission / Language School Orchard Lake, MI, U.S.
Click here to read the document, "Things I Wish I Had Known Before Attending the World Championship." The official VEX Worlds Site Map is now available... Check it out! A complimentary shuttle service between the Kentucky Exposition Center and many area hotels will be available April 15-18. Click here to view the schedule. Information about shipping your robot, tools, and supplies through George Fern Exposition & Event Services, the World Championship decorator, can be found here. If you have any questions about robot shipping information, please contact Fern directly at (502) 367-0254. Need to print brochures or make copies after you arrive in Louisville? The UPS Store located in the Galt House Hotel can help you with your printing needs. Click here to see a list of prices for the most common services offered by the UPS Store. Please feel free to contact them at (502) 583-3784 about other services. A completed form for all participants must be submitted at check-in on Thursday of the event. Team leaders will need to collect the completed forms for all team members attending the World Championship. Turn them in to the Pit Administration Registration window when checking in. Click here to download the VEX Robotics and REC Foundation Consent & Waiver Form. The Robotics Education & Competition Foundation has collected the most commonly asked questions about World Championship. Please download and review the 2015 VEX Robotics World Championship Team FAQ document for commonly asked questions and more information. Please click here for a sample concessions menu for the Kentucky Exposition Center. Please note that not all concessions will be open during all hours of the event and prices may change. These sample menus are intended to assist team leaders and participants plan meals during the 2015 VEX Robotics World Championship. Order World Championship apparel now by clicking here. The REC Foundation is pleased to provide the option for teams to pre-order their meals during the 2015 VEX Robotics World Championship. Avoid waiting in line and arrange payment for your meals ahead of time for your convenience! Please click here to download the 2015 Pre-Order Lunch Form. The 2015 VEX Robotics World Championship housing site is now available, with discounts at 36 hotels in Louisville. This is a great opportunity to get a head start on your competition planning. Please follow this link to reserve your room(s) at the VEX Championship rate. We are also excited to announce that there will be a dedicated and free shuttle bus loop to and from the 2015 VEX Robotics World Championship and many of the discounted hotels during all four days of the event. 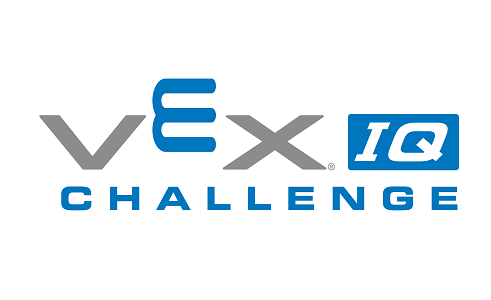 Stay tuned for more details regarding the 2015 VEX Robotics World Championship! • Airport/Downtown area hotels for $21 per person. • Airport/East End area hotels for $31 per person. • Groups of 15 and more may reserve a private bus for $260 each way. • Larger groups may reserve a 55-seat passenger bus for $550 each way. All tickets must be purchased in advance and the airport shuttles will only operate between the Louisville airport and the World Championship hotels. Please visit the official World Championship Airport Transportation website to book your airport transfer. All visa and invitation letter requests should be submitted to the REC Foundation by January 31, 2015, to ensure proper time for processing. Requests submitted after January 31 will be processed as soon as possible, but may take up to three weeks. Attention teams! The REC Foundation is pleased to announce that there will be an official team party to conclude the 2015 VEX Robotics World Championship to be held on Saturday, April 18 at the Kentucky Kingdom amusement park. Please note that only Kentucky Kingdom will be open during the team party. The attached Hurricane Bay water park will not be open during the 2015 World Championship party. Check back for more details as the event approaches, including purchasing tickets and transportation updates. The REC Foundation has partnered with Enterprise, Avis, and Budget to provide rental cars at a discounted rate for the 2015 VEX Robotics World Championship. If you wish to take advantage of the Enterprise discount, please go directly to the Enterprise World Championship Website and use CD# "58B3001" to reserve your vehicle. If you wish to take advantage of the Avis discount, please go directly to the Avis World Championship Website and use Avis Worldwide Discount number "D019176." Attendees can also call Avis at 1-800-331-1600 to book. If you wish to take advantage of the Budget discount, please go directly to the Budget World Championship Website and use Budget Customer Discount number "U011133." Attendees can also call Budget at 1-800-842-5628 to book. 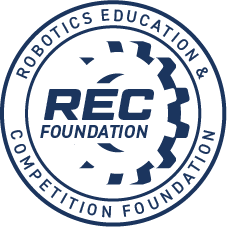 The REC Foundation has partnered with Delta Airlines and United Airlines to provide discounted air travel to the 2015 VEX Robotics World Championship. For Delta Airlines discount information, please click here. For United Airlines discount information, please click here. To learn more about our exciting host city, please visit our Louisville World Championship website. Click this link to see the combined 2015 VEX World Championship agenda. For information on volunteering at the 2015 VEX Robotics World Championship, please click here. You can see the awards for the VEX IQ Robotics World Championship Elementary School Division by clicking on the "Awards" tab above. Teams registered for the World Championship may upload pre-submitted awards by clicking here. This year's pre-submitted awards are for the STEM Research Project, Teacher of the Year Award, and Mentor of the Year Award. The deadline to register is 11:59 pm CST on March 20, 2015. The 2015 VEX Robotics World Championship is FREE and open to the public. This lively and engaging event is suitable for the entire family. Spectators are welcome to attend the ceremonies, watch matches, and visit with teams in the pit area. Click here for parking information. Please download and review the 2015 VEX Robotics World Championship Team FAQ document for commonly asked questions and more information. Please follow this link that will direct you to the team email blast archive on VEXForum.com. Here you will find all of the 2015 VEX World's team email blasts. The 2015 VEX Worlds Program is available here.